Although advances in technology have made our lives more comfortable and convenient, they have also increased our vulnerability to cyber-crime. Any home which makes use of devices or appliances which connect to the web are at risk of being hacked or compromised. In fact, many of the newest televisions, computers and gadgets can be transformed into surveillance objects using certain tools, and IoT devices which are not properly secured are one of the leading causes of DDoS attacks. 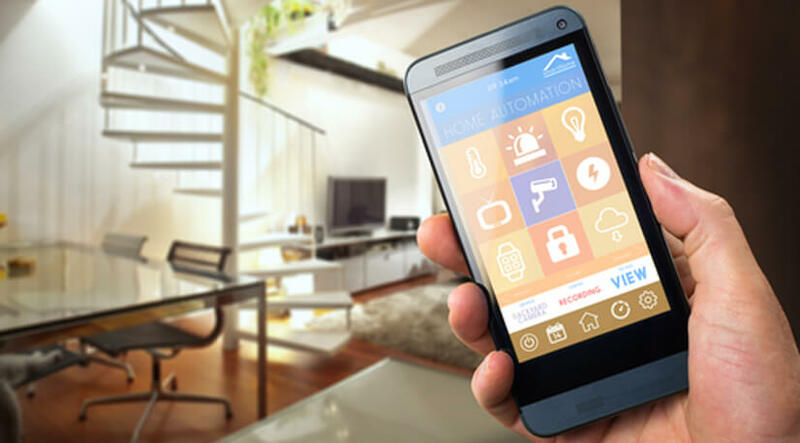 In light of all this, how can homeowners implement smart home security? By enabling two step authentications, you give your account additional security. It consists of using two separate elements to access your account such as your password, followed by a secondary code that can be received via text message. This procedure has become quite popular with cloud storage, email and other account types, and should always be installed on smart devices as soon as you buy them. Too many people buy devices because of how cool or trendy they look without taking the time to determine how functional they are. For example, if you’re buying smart cooling or heating appliances be sure that they only heat the home while you’re present, so that your energy bill can be kept as low as possible. You should also read the terms of service to make sure you agree with them, and you should check forums and online reviews to determine if these gadgets are equipped with surveillance devices that can be used to listen to you surreptitiously. Look for devices that have frequent security updates as cyber criminals are constantly finding new ways to bypass existing security measures. Most modern wireless routers offer the ability to establish multiple, separate networks that can keep unverified visitors off your primary network. You will need to read the router’s manual to learn how to create a network for IoT devices and connect to them. By dividing the networks, it will be more difficult for cyber criminals to gain access to every device you have and the information stored within. Additionally, Wi-Fi Protected Setup should be disabled and only Wi-Fi Protected Access 2 (WPA2) should be utilized. Most IoT devices when first purchased will come with default passwords. It should be obvious that these should be changed, but you would be surprised by the number of people who don’t. Default configurations and passwords are some of the easiest for cyber criminals to bypass. Likewise, keeping firmware updated is also important. Having the newest security patches will significantly reduce the chances of your device becoming compromised. New exploits or vulnerabilities will always be discovered by dedicated hackers, so IoT devices must be updated regularly. Most people don’t have time or desire to keep track of this stuff however, so most devices now come with the ability to perform automatic updates.